On June 13, Apple kicked off their annual (highly loved) Worldwide Developer Conference (WWDC) in San Francisco, California. This was the first time the event was held at the Bill Graham Civic Auditorium, earlier it used to take place a mile away at the Moscone West convention centre. While WWDC is majorly aimed at developers, and participants from around the globe come to learn how they can create better apps for upcoming Apple products, and it is also used as an opportunity by Apple to show off their latest software updates. 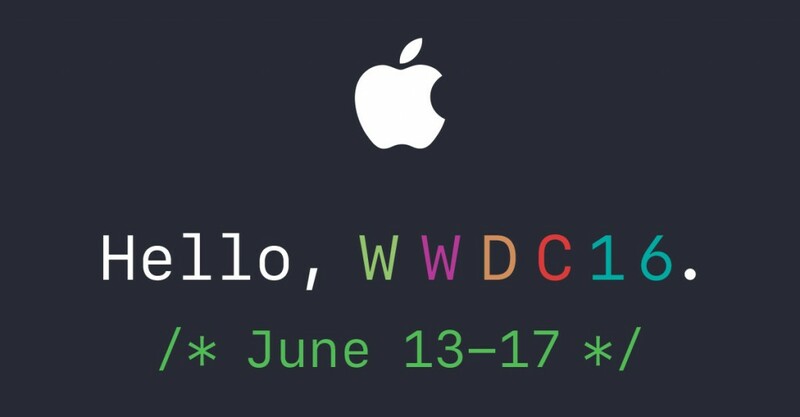 WWDC 2016 is a 5 day event taking place from June 13-17. The important announcements however were made on June 13, during the keynote. The event was started by CEO Tim Cook who started by explaining a few points about how wonderful Apple is, after which other important Apple bigwigs took the stage and got down to business. Following are the Top 8 Announcements made by Apple during WWDC 2016. This is one of the biggest and best news — Apple has now opened Siri to third-party developers. Our app experts are very excited to get their hands on it, and start integrating it for our client’s apps. Siri will now finally be able to interact with non-Apple apps. Users can now give commands like “Hey Siri, hail an Uber,” or, “Siri, play my playlist on Spotify,” and Siri would be able to do those things, rather than the boring response which opened a Safari search result. Apple is changing the desktop and laptop OS branding. OS X 10 will now become macOS Sierra. With macOS, the Siri is also making its debut on the tradition Apple computers. Other important new features include the ability to auto sign-on (yes, you no longer need to unlock your computer with a password, given your iPhone is within reaching distance), Apple Pay is now web-enabled, and notification center has also been redesigned. Craig Federighi said, “the biggest iOS release ever for our users.” The important updates include a redesigned lock screen with rich notifications, quick interactions with apps, and expanded use of 3D Touch. Users would also be able to remove the stock iOS apps, a feature requested by users from long. The other apps based updates we will discuss in other points. watchOS 3 was launched by Apple and will bring new enhancements to the Apple Watch experience. The third year update will allow watch apps to launch faster than before, and new set of watch faces has also been launched, along with apps for Reminders and Find My Friends. Another very important and new safety feature, watchOS SOS was previewed. watchOS 3 allows users to share your activity with friends. tv OS 10 is the name of next major version of the Apple TV’s software. tv OS 10 will offer single sign-on for the cable logins, and also now comes with its own dark mode. tv OS 10 will also include a number of Siri enhancements, as well as many improvements for watching live TV. Taking a cue from Google Photos App, Apple has improved their Photos app. The update adds new object and scene detection for powerful search and sorting on Apple devices. Apple also stressed that all AI happens directly on the device itself – which keeps Apple’s claim of greater privacy compared to if the computation was done on the cloud. Apple Maps has yet to give a serious threat to Google Maps, but Apple is trying hard and are making good updates. Apple Maps is getting an all-new design in iOS 10. Apple’s senior vice president of Internet Software and Services Eddy Cue says the new Maps is “a lot more proactive.” Maps will offer nearby restaurant suggestions and its redesigned look is extending to navigation. If there’s a lot of traffic ahead, Maps will proactively offer an alternative route and note how much time it would save. Apple Messages was looking outdated from some time now and receives new features in new update. New functionality seems to have taken inspiration from the likes of Facebook Messenger and Snapchat. Users will now be able to embed YouTube videos, easily send “stickers,” convert their text into emojis, or send pre-written responses with a quick tap. Another big update include ability for developers to integrate third-party app functions into a chat. Do you think we missed an important update, or something which you would have liked to see during WWDC 2016, but didn’t. Let us know in comments below.